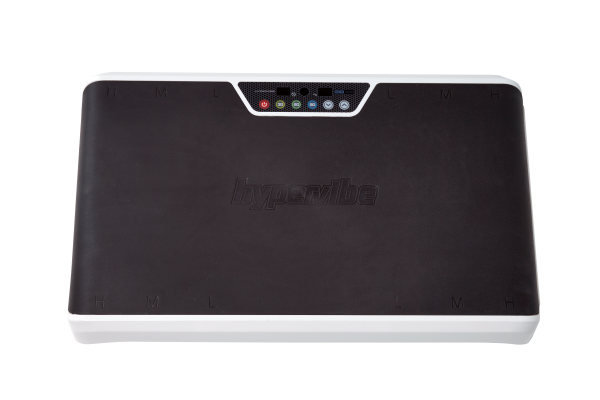 Whole Body Vibration is possibly the easiest, safest and most practical way to maintain bone strength. Having strong bones is important for a number of reasons. Prevention of broken bones in accidents. A source of minerals during times of metabolic stress – if the body becomes too acidic, minerals from bone can reverse the acidity and prevent arterial damage and internal bleeding. Prevention of skeletal deformity – the hunched over appearance seen in the elderly impedes the proper function of spinal nerves which can cause health problems in every part of the body. You might compare bone density to money in a bank. Diligent people work had to deposit money in their bank while they are young so they′ll have enough to keep them going later in life. Similarly, bone deposits are made early in life and by about the age of 30 you reach your peak – the strongest your bones will ever be. From that point forward your bone bank is constantly losing bone. 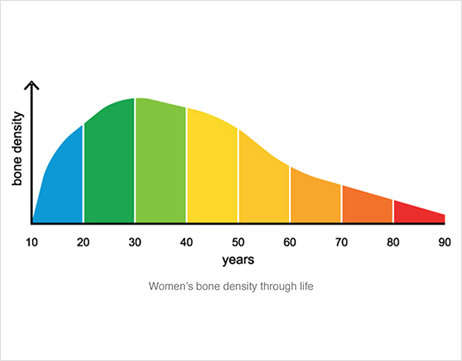 For women, the rate of decline in bone density increases as they approach 50 years of age. When scientists want to investigate bone loss, rather than waiting an entire lifetime for changes to take place they can speed up the rate of bone loss by having the test subjects lie in bed. This is also how they test the effects of zero gravity on Astronauts without actually having to go into space. The reason why bed rest speeds up bone loss is lack of GRAVITY working vertically through their legs and spine the way it does while standing. In 8 weeks of bed rest a young healthy person can lose as much bone as a post-menopausal old woman loses in an entire year (~3%).2 Returning them to normal gravity results in recovery of bone density.3 Weight-bearing physical activity is the primary way your body keeps bones strong. Compared to the remaining population, retirement age people spend the most time watching TV and the least amount of time on their feet thus reducing their stimulus from gravity;4 a recipe for bone loss. If that′s you, attempting the physical activities of your youth may increase the chance of falling and breaking bones – the very thing you need to prevent. Thankfully there is a better way. If a deficiency of gravity weakens bone, could additional gravity strengthen bone? 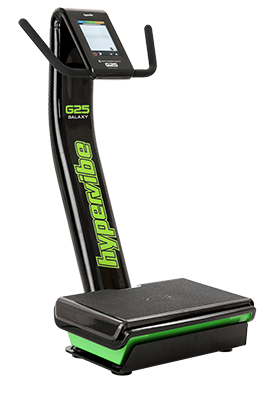 According to the research – yes it can.3 A Whole Body Vibration platform accelerates you upwards. You feel this as a force named G-force where ´G′ stands for ´Gravity′. Thus it exposes your body to increased Gravity. How does Vibration Training increase bone strength? Bones become stronger when exposed to sufficient mechanical stress. 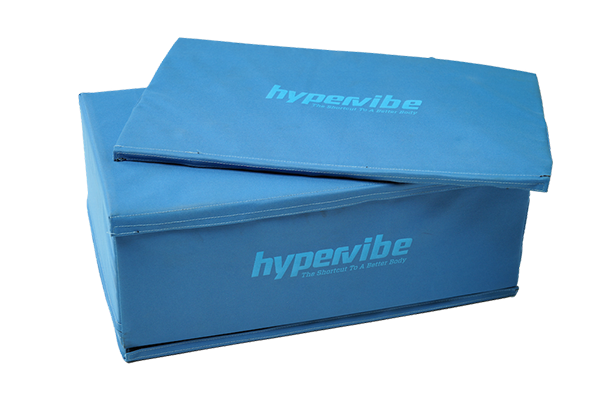 Owing to the muscle contractions and G-force caused by a vibration machine Whole Body Vibration has been shown to provide this kind of strength-inducing stress on bone.9 Additionally, Vibration Training has been shown to simultaneously increase circulation of blood and lymphatic fluid. Loading bones while forcing more fluid10 through them will increase their strength. A third way that Vibration Training may increase bone strength is by increasing Growth Hormone levels. Growth Hormone is known to increase bone density; though while it has been shown that brief bouts of high G-force Vibration Training can significantly increase Growth Hormone levels,11 vibration-induced Growth Hormone effects on bone have not been investigated. 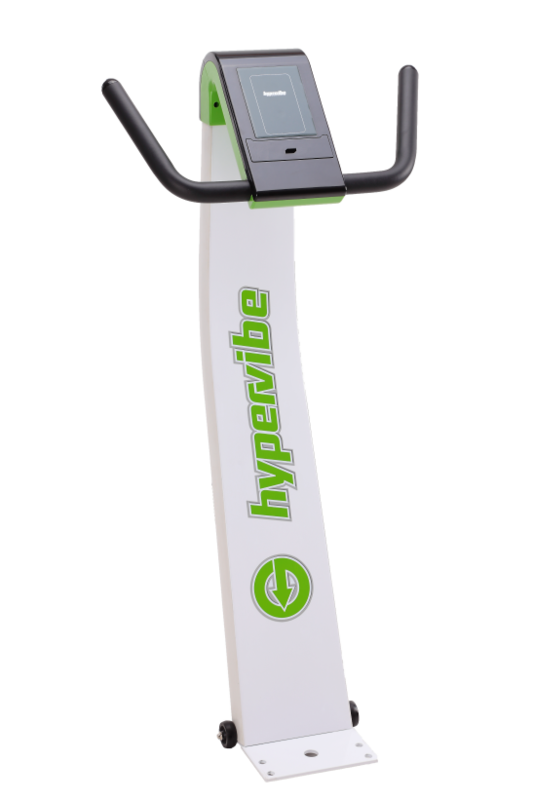 I was determined to deal with my bone density issues safely and naturally so I turned to vibration training. 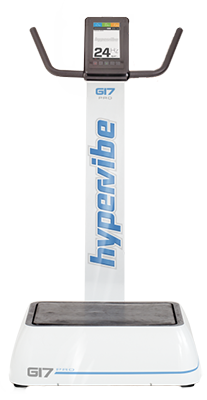 After 2 years of Hypervibe my bone density increased 8.3% – I was astonished. Who can strengthen bones with Vibration Training? Vibration Training group actually ended up with 5.6% more bone. Less than 10- minutes a day of ´standing still′ had restored almost 2 years worth of bone density. Vibration Buyers Guide to learn which vibration machines are capable of producing 9G or more. You will be surprised how many cannot. Gusi N. Low-frequency vibratory exercise reduces the risk of bone fracture more than walking: a randomized controlled trial. BMC Musculoskelet Disord. 2006; 7: 92. Torvinen S. Effect of whole body vibration on muscular performance, balance and bone. 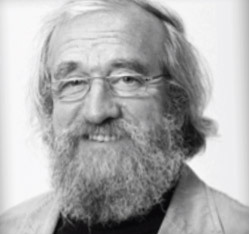 Faculty of Medicine of the University of Tampere, 2003 Feb.
R. Acute Exercise In Vietnam Veterans Is Associated With Positive Subjective Experiences. Int J Exerc Sci 3(1): 36-42, 2010.